A book I read a few months ago called “Lunch In Paris” had some really wonderful sounding recipes in it. I saved a few and I’ve tried a few. Here is another one. The book was a good read (and yet another book that inspires me to want to go to France) and my mouth watered at all the recipes in the book. I wanted to try all of them. I tried another recipe from the book and it was a lovely (and fairly easy) recipe. In large stockpot heat oil over medium heat. 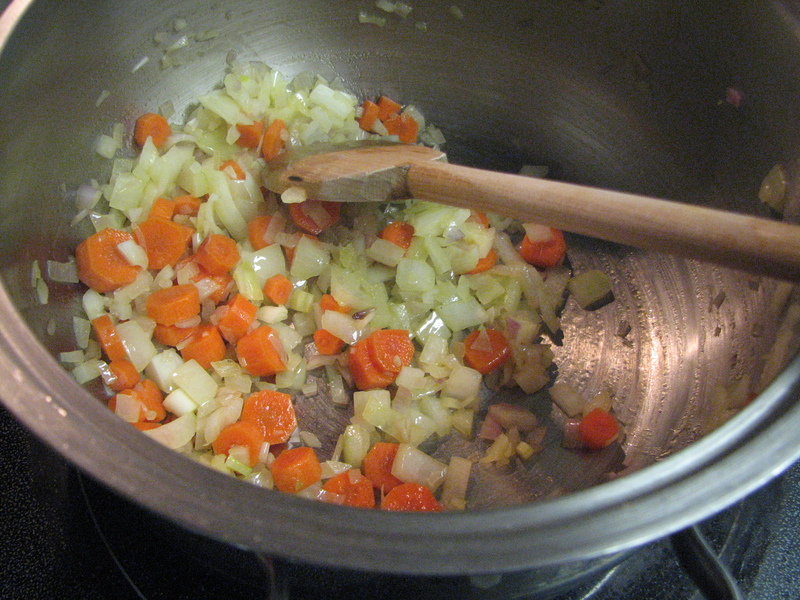 Add shallots and carrot and saute for 5-10 minutes until onions are translucent. Add lentils and stir to coat with oil. 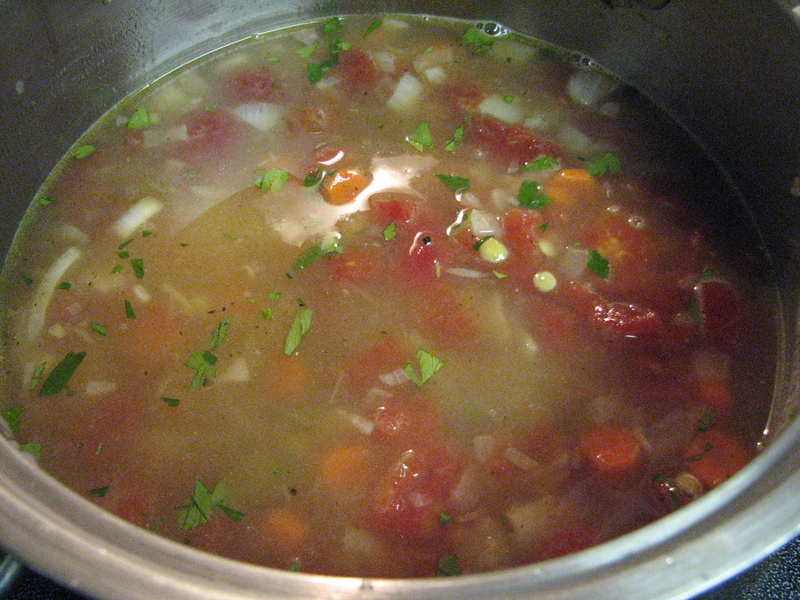 Add broth, tomatoes, wine, parsley, bay leaf and pepper. Leave to simmer over low heat with cover ajar until lentils are tender and most of the liquid is absorbed (about 1 hour). Serve in shallow bowls with dollop of sour cream, fresh cilantro and half a lime for squeezing. Variations: Top lentils and sour cream with pan-fried or broiled salmon fillet, squeeze lime over fish and sprinkle with cilantro. Tip: freezes well. 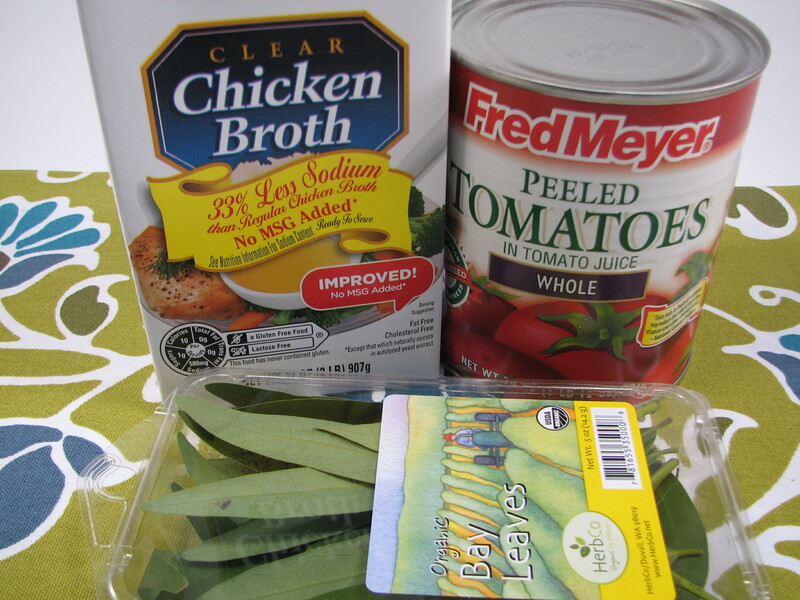 Also makes great soup, just add extra broth and white wine puree. I had a bunch of dried lentils on hand that I never got around to using. I’d stocked up when Michael and I were doing the Slow Carb Diet because it recommended lentil soup. Unfortunately, I never got around to making the lentil soup. Time to clean out the pantry. I had everything else on hand except for the bay leaf. I picked up a package of bay leaves from the store and got to it. The recipe was simple. I decided to make it for dinner because I was already home taking care of my kitty so I had extra time. I normally would not attempt to make something like this on a week night otherwise. 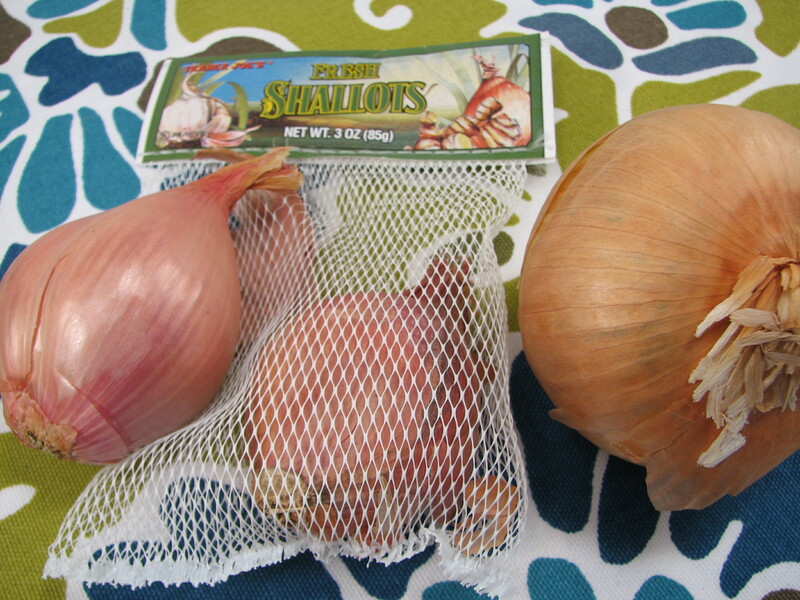 I used a mixture of both shallots and chopped onion. I wish I could remember what kind of onion I had on hand–it might be a Walla Walla Sweet. I used two small carrots and chopped them up. I added the lentils to the mix, coated them and then added the rest of the ingredients to simmer for an hour. It took a little longer than an hour for the majority of the liquid to cook off. I’ll admit, I was worried that dinner would be a catastrophe. To go with the lentils, I made salmon too. Michael cooked two salmon fillets in the skillet seasoned with salt and pepper. The salmon doesn’t take long to cook, so maybe sure the lentils are 99% done before starting the fish. I served dinner in a shallow pasta bowl. The lentils were cooked perfectly. I topped them with a dollop of light sour cream, add a few springs of parsley and cilantro. 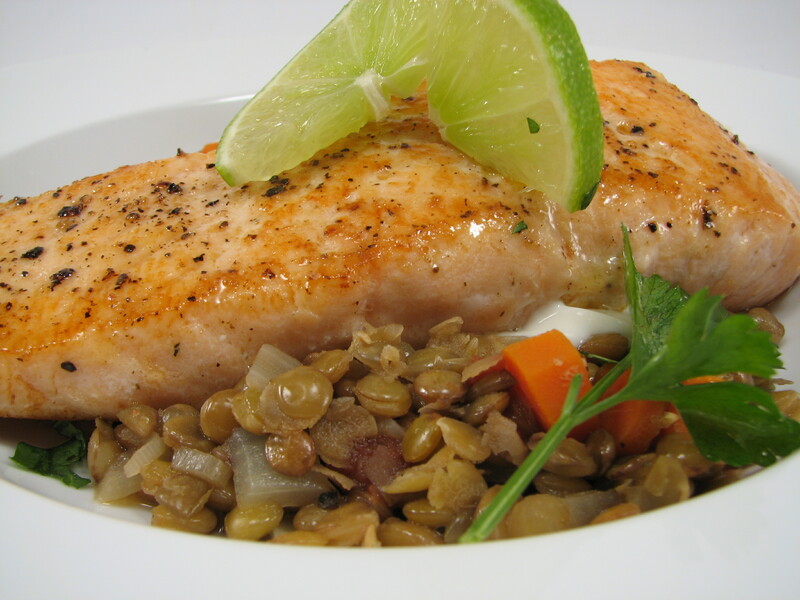 I topped the lentils with the salmon and then squeezed some fresh lime juice on everything. The verdict: the recipe wasn’t necessarily difficult but it was time consuming. 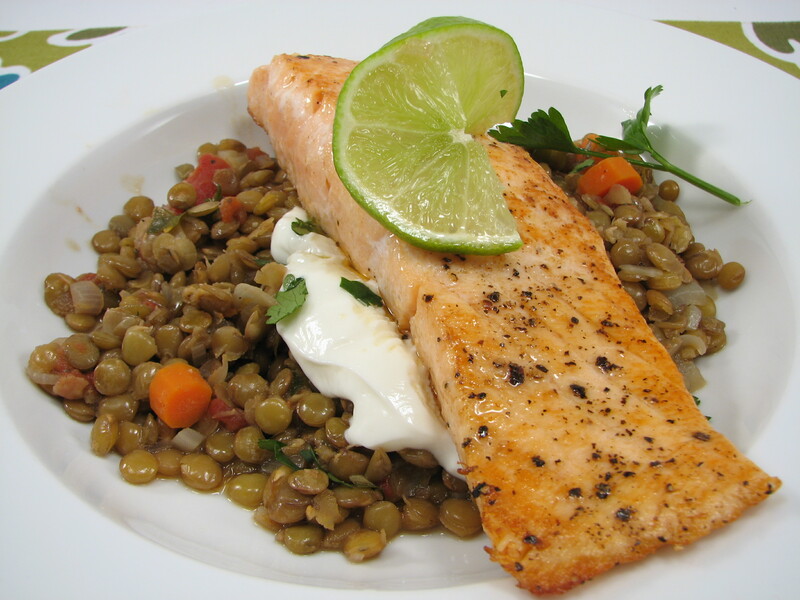 I liked the combination of the salmon and the lentils and the sour cream was a must. 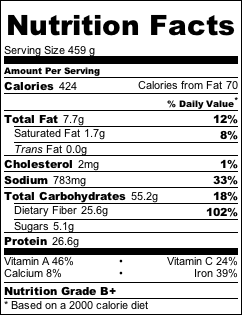 I loved the flavors it added. It was a nice one! And healthy too and if you’re doing the Slow Carb Diet this is a great recipe for you. I halved the recipe and it still made a ton of lentils. 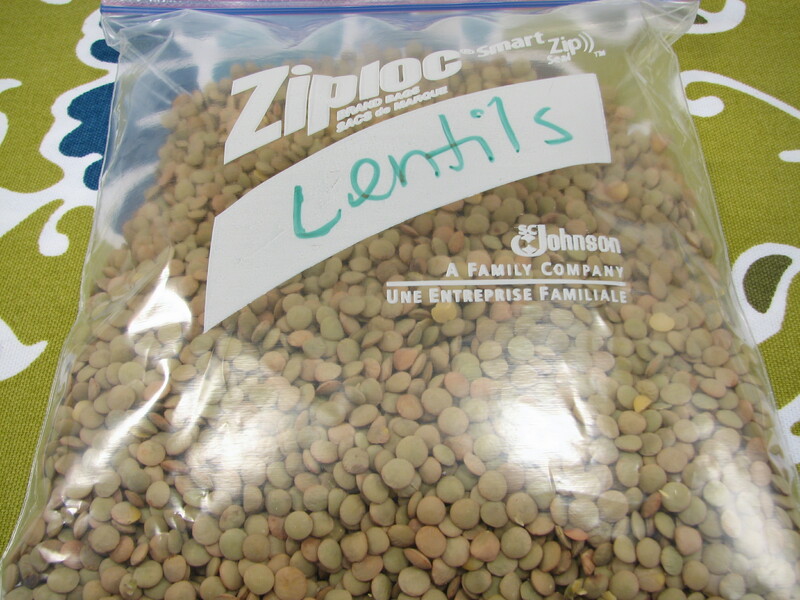 I will have leftover lentils for lunches for days. 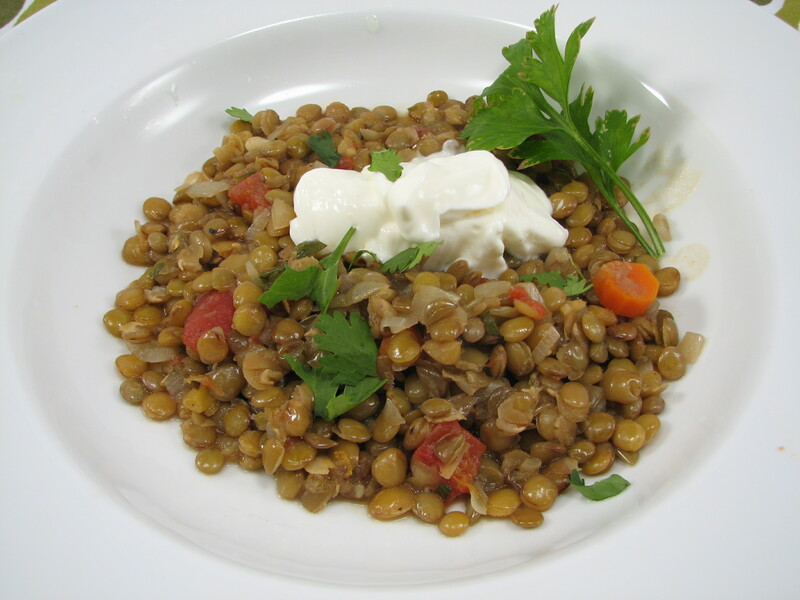 QUESTION: What’s your favorite lentil recipe? And have you been to France? if you have a crockpot it makes lentils super super easy-just put them in on low all day! Good to know! I never thought to put them in the crockpot. That’s a great idea. Do they turn into mush though? Hi Lisa. This looks amazing, and I’m sure was worth all the trouble. Maybe fresh dill next time? Especially if you top it with seafood. (and that book looks so up my alley…I’ll have to look out for it) Have a wonderful Tuesday. Good idea on the dill! It doesn’t take much for me to want to go to France, but this recipe did it for me too! Ha! So true. I don’t need an excuse to want to go to France! I can see how that could happen. 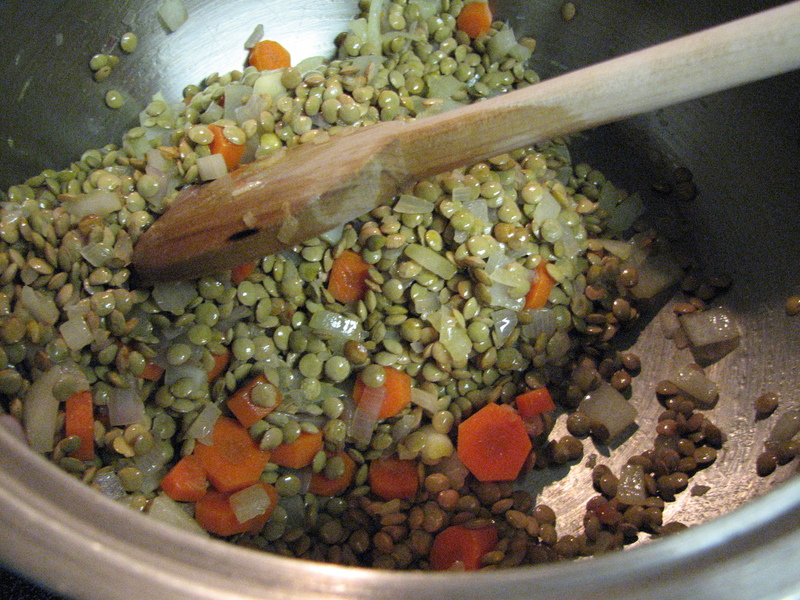 Lentils have the potential to be gross mushy stuff! Try it again and see if it’s better. I’m happy with how photogenic the dish turned out to be too. I love lentils and eat them often. I soften them, then roast them for a different texture. 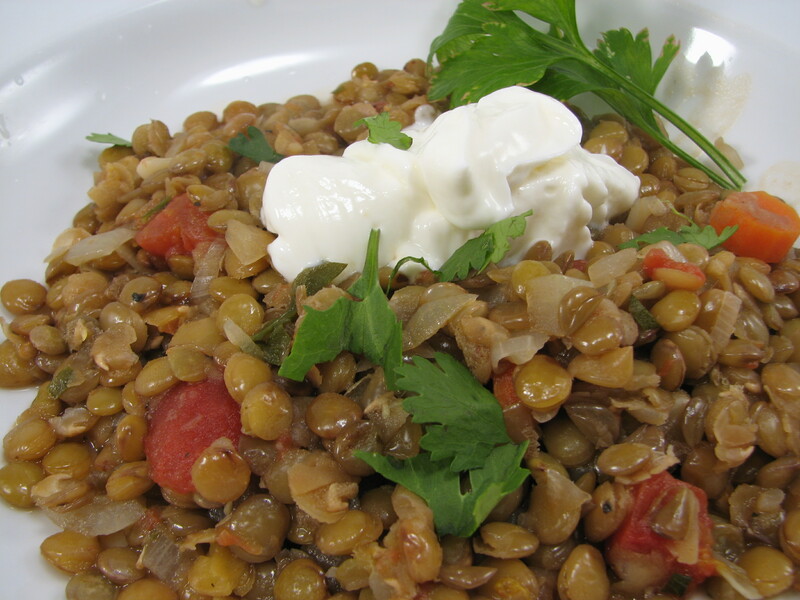 My favorite recipe with lentils? Too many to list! This recipe was my introduction to lentils. I will definitely make them again!